A quick reminder for your diary if you fancy a gad with some scandalous ladies and Prinny himself! 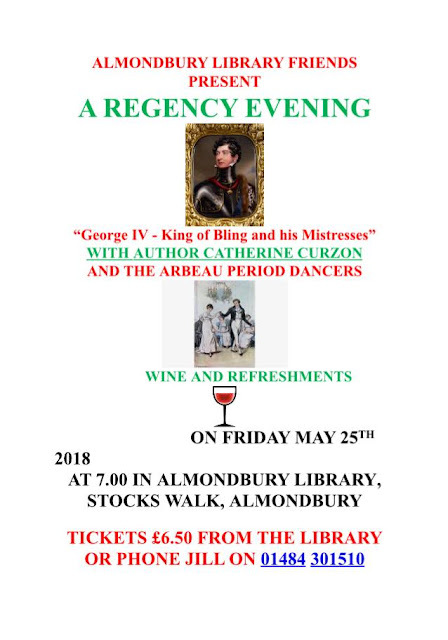 At 7pm on 25th May I'll be in Yorkshire at Almondbury Library to chat about the shocking love life of the Prince Regent, a man who never really did subtle. For more information and tickets, contact Jill on 01484 301510.